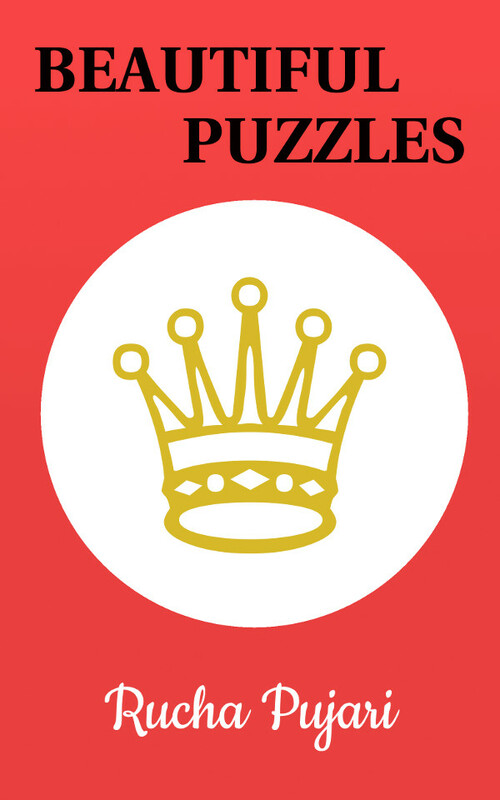 Ruchess: Beautiful Puzzles - My first eBook is now available on Amazon! The journey to achieve this final product started in 2015, it was a long voyage, let me divide it into two stages. The first part of the year was spent on brainstorming, discussions with the publisher - Asim Periera, and generating ideas. This part was very important to get a direction to proceed. This is an open-ended question, so the approach was not to arrive at a solution but to create many options and ideas. What will be the book about? How to collect the data for it? How to organize this data? How to make this interesting and unique? What will the readers gain from this ebook? The later part of 2015 was specifically spent on developing and shaping the book. It took longer than expected to finish, as it was not easy to get back in the momentum whenever there was a break, for example when I went away to play in tournaments. Also I started a Chess Academy in Kolhapur in September, and the work on the ebook somehow got delayed. As I look back today, I see that all the time spent on this ebook was worth it. Me and Asim arrived at the decision to make this book a ‘solving book’ but with unique things to offer. The initial database that I started working with contained more than ten thousand games. My task was to search beautiful combinations from them. 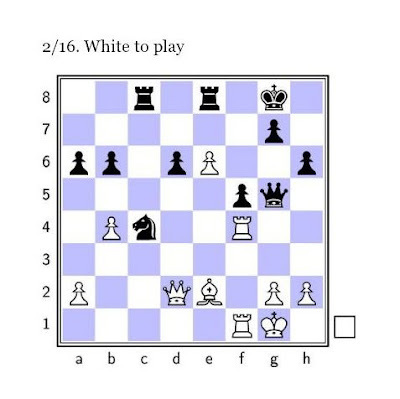 One of the important aspects is that, most of the puzzles selected for this ebook are taken from the recent games. Due to this, the readers will get to see new combinations and fresh ideas. Throughout the preparation of the material, the focus always remained on quality. A laptop, chess set, paper, pen, marker and a loads of hard work are the ingredients to cook a good book! Work in progress at a glance! Hundreds of years, millions of games, and yet we keep on finding more and more beauty in this game. Going through thousands of games, I came across wonderful ideas, fascinating plans and unexpected moves. Let me share with you examples from this ebook. Try to solve them on your own before looking at the solutions. The above position is from the chapter - Not an Everyday Move. This position is from the chapter - Think Smart. Solution: Did you find the idea? 1. Bxc4 Rxc4 2. h4!! 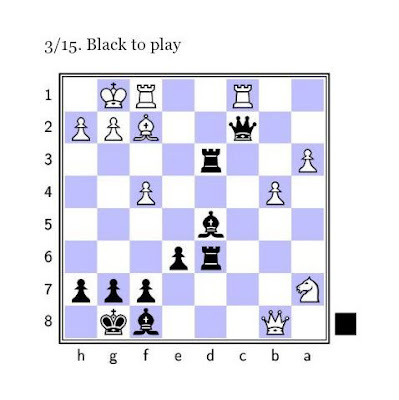 Deflecting the Queen and White will pick up the c4-Rook next. Yes, we never know when an h-Pawn will make our day! From many games, I cut down to 250 chess combinations, and from that the final 150 were selected. These are presented in ten different chapters, with interesting title names. This was not an easy job, to search and select and finalize every single position did take a lot of time. Also, every single one of the position had to be checked in detail for a unique solution. Then the next task was to find similar patterns and themes to be able to compile them under chapters. One of the best parts of this ebook is that, one position is adjusted on a single page and immediately followed by solution on the next page. Also in the Black to play positions, the board is flipped. Such details make the ebook easy to use. A short talk was taken by the local news channel (in marathi), regarding the ebook. Watch it below. My first ebook Beautiful Puzzles, is finally released and is available on Amazon Kindle. Note: All those who have subscribed to kindleunlimited can read the book for free. It was a great experience for me writing this book and I really enjoyed the process. I would like to thank the publisher, Asim Pereira, for his kind help and for giving me this opportunity. 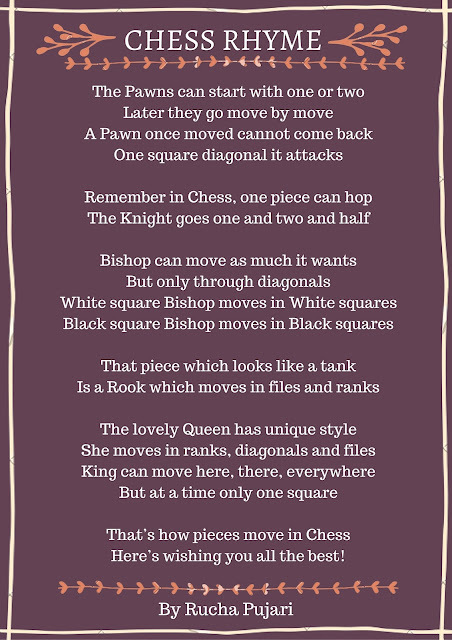 I am sure you will take delight in reading and solving the beautiful puzzles from this ebook and at the same time become stronger chess players. Do leave your valuable feedback and reviews! 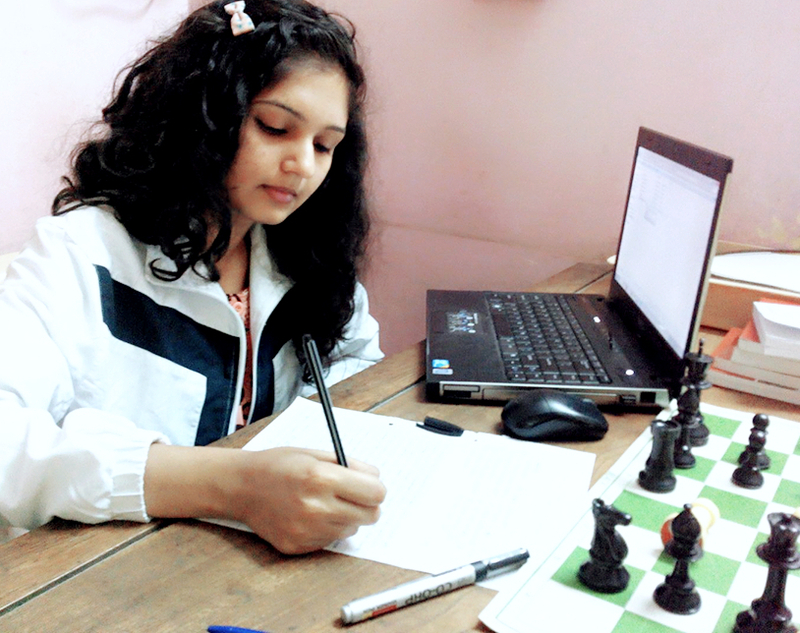 Don't miss: This article has also been published on ChessBase India, see it here. i would really like to go through this book. excellent above two examples. First one was too good. Thank you, hope you enjoy the book!